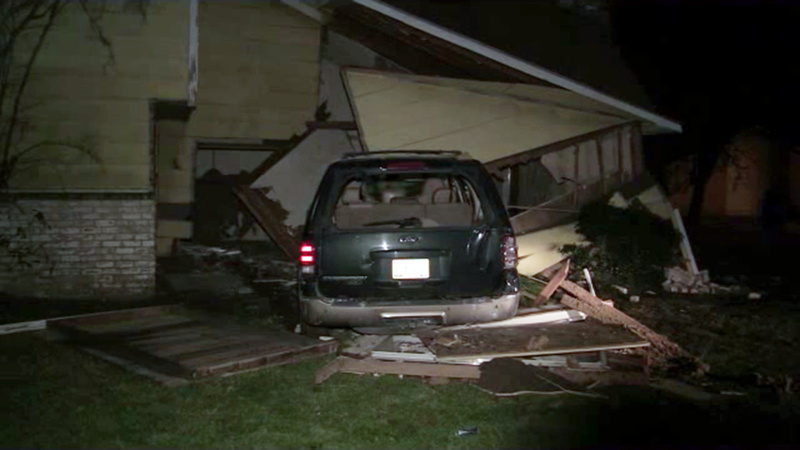 HOUSTON (KTRK) -- A driver crashed his SUV into the side of a home in north Houston. This happened on Aldine Bender Road at the 59 Eastex Freewway. Police say the vehicle went through a side wall and into the living room of the home. The impact of the crash has now caused the roof of the home to start to collapse. Police arrested the driver for drunk driving. The person living at the home was not hurt. He's renting the place and did not yet have furniture in the living room.